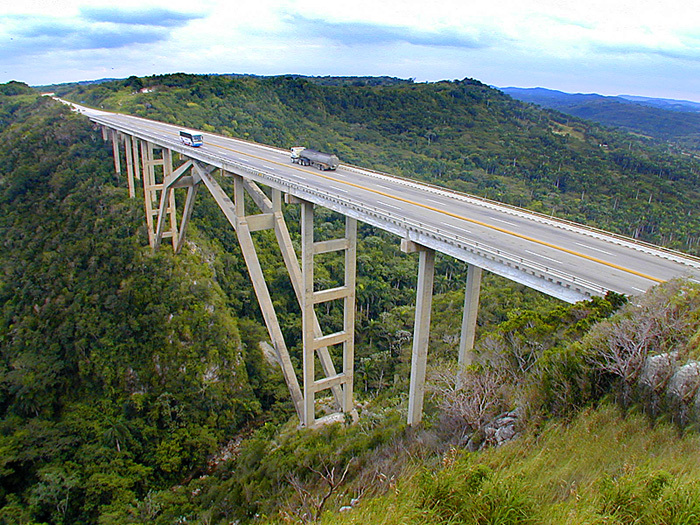 Located 106 km east of Havana, the Puente Bacunayagua is located at the Havana-Matanzas provincial boundary. The 313 meter long bridge is 112 metres high (the highest in Cuba) and spans the gorge of the Rio Bacunayagua river in the Yumuri valley. 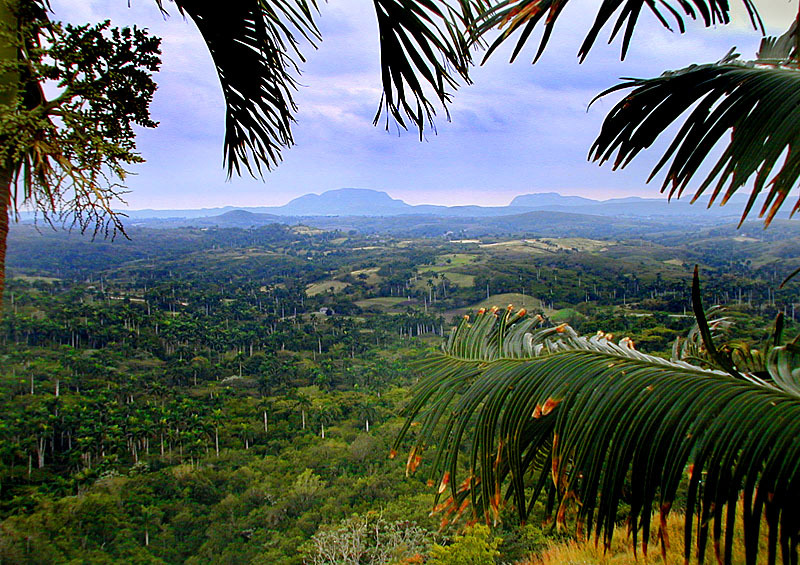 The highway is the main road route between Havana and Varadero so be sure to stop on the western edge of the bridge where there is a great lookout atop the cliffs. There is also a snackbar and washroom facilities. To the left is a view of the Yumuri Valley and the wide open vistas you can see from the bridge area.